New Year’s Eve is soon approaching and it’s a night when many people pull out their black tie ensemble. 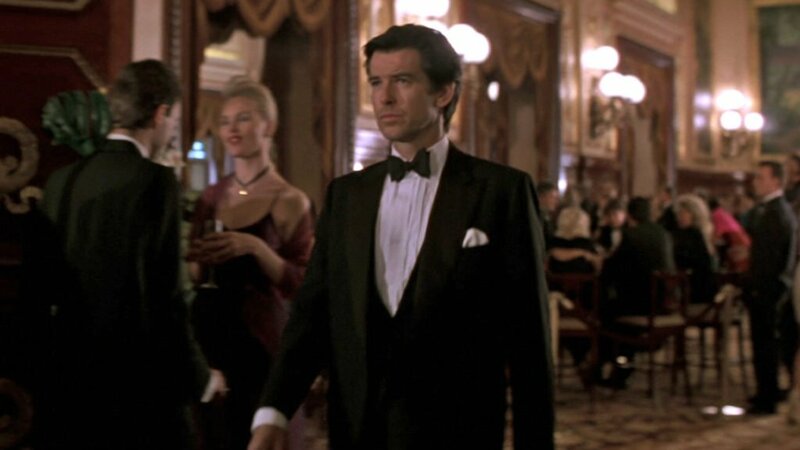 Many people like to wear a waistcoat with their dinner suit, but the first time that James Bond wears a waistcoat with black tie is in GoldenEye. A waistcoat gives a more formal air than a cummerbund, though the proper low-cut black tie waistcoat is not a commonly seen item these days. 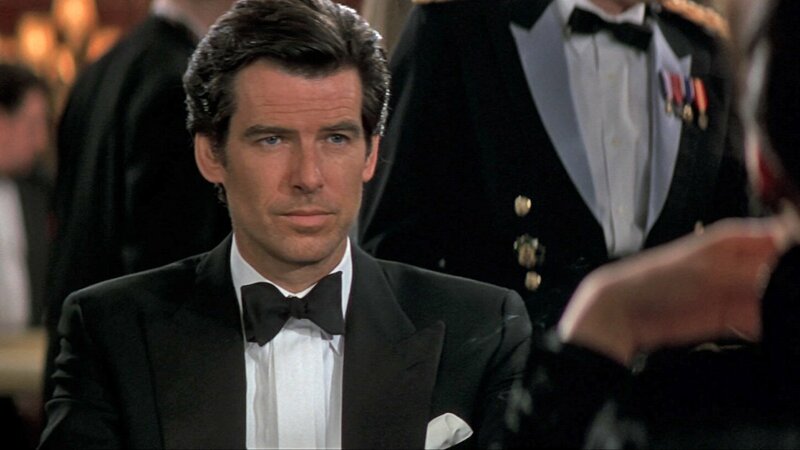 Bond’s full-back, single-breasted waistcoat is made in black wool—matching the rest of the dinner suit—with black satin silk shawl lapels. The waistcoat fastens with four closely spaced buttons, and the bottom of the waistcoat just covers the waistband of the high-waisted trousers. This type of waistcoat is more commonly found with only three buttons, though four buttons is equally correct. James Bond’s dinner suit from Brioni has a traditional button one, satin-faced peaked-lapel dinner jacket with jetted pockets, four buttons on each cuff and double vents. The jacket is cut with straight, padded shoulders and a full but clean cut through the body. The trousers have reverse pleats and are tapered down the leg. The dinner suit’s wool came from William Halstead in Yorkshire. The shirt from Sulka has moderate spread collar and double cuffs. The front has a bib with large pleats and a fly placket—meaning the buttons are covered—that provides a clean, modern look. The shoes are Church’s “Balmoral” cap-toe six-eyelet oxfords in black calf, not patent leather. Bond finishes the ensemble with a white silk puffed pocket square. This Brioni dinner suit is the first tailored piece of clothing we see Brosnan wearing as James Bond. Sean Connery and George Lazenby were both introduced to the audience wearing black tie, and Timothy Dalton’s first tailored clothing worn as Bond was also a dinner suit. Sean Connery began his first three Bond films in black tie. 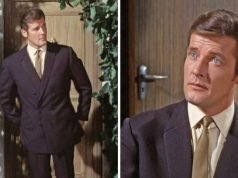 Up to this point, Roger Moore was the only Bond not introduced wearing black tie, and didn’t wear a dinner jacket at all in his first outing as Bond. With Daniel Craig he wasn’t seen in a dinner jacket until later in Casino Royale. 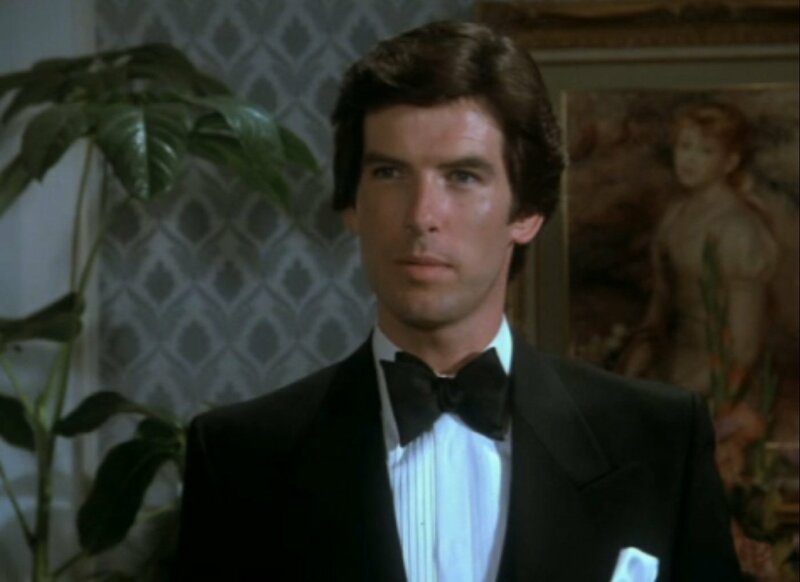 An interesting note: Pierce Brosnan wears a very similar black tie ensemble in the first episode (and on many others) of Remington Steele 13 years earlier, which also consisted of a peak-lapel dinner jacket, low-cut waistcoat and fly-front shirt with narrow pleats. The difference in Mr. Steele’s dinner suit is a vent-less dinner jacket. The trousers here are worn with a belt (which is never proper for black tie). But still, the outfits seem too similar to be a coincidence. You can take a look at Remington Steele’s dinner suit below. the biggest issue in Remington Steele was Mr. Steele's haircut, which did not suit him!!! I like his haircut after the first season. Watch the third season and later and you'll see the same haircut as in GoldenEye. What are you talking about?? Remington Steele's hair was pure 80s awesomeness. Brosnan has always had an amazing head of hair. Could you tell me breifly what a shirt placket is please? Thanks. Great blog by the way. 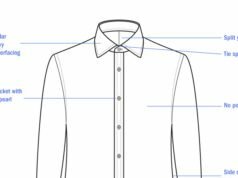 A placket is the folded part down the the front of a shirt where the button holes are. Most English shirts have them and many Italian shirts do not. A waistcoat was worn in Tomorrow Never Dies right? That ensemble was midnight blue, however. Are the waistcoat’s buttons made of satin instead of matching grosgrain? They certainly do appear quite a bit shinier. The same question goes for his bow-tie which appears flatter in comparison to his peak lapels. What do you reckon, Matt? This stands as one of my favourite black-tie looks but it was much better polished in Tomorrow Never Dies. 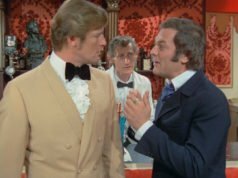 Black, however, would be a wiser choice for a spy who doesn’t like to stand out from the crowd in a midnight blue tuxedo. The buttons and lapels on the jacket and waistcoat are all satin silk. The bow tie could possibly be barrathea silk instead of satin. There’s no grosgrain silk in this outfit. Midnight blue does not stand out any more than black does at night. You need some bright lights to see the difference. So the dinner suit is black or midnight blue?